When people plan a trip to Niagara Falls, it’s easy for them to imagine what lies in store. After all, the Falls are among the most iconic and photographed natural wonders in the entire world, and the celebrated wine country is every bit as idyllic as any in France, Italy, or Napa. That being said, there are plenty of sights in the Niagara region that could easily take a visitor by surprise — the Wheel of Fate, for instance — but some of the most satisfying surprises are the animals you can run across. Here are a couple of animals that you probably didn’t know you could see while vacationing with family in Niagara Falls. What in the world’s a tegu? A tegu is a lizard native to Central and South America that’s known for being really large and, when threatened, pretty predatory. Omnivorous and possessing unusually high intelligence, some have been known to seek out affection from humans the way dogs and cats do. They can also be taught tricks and house-trained. Adult tegus can get as long as four and a half feet and weigh up to 15 pounds. While you’re in Niagara, you can see an Argentine Black and White Tegu as well as hundreds of other species of birds and animals at Bird Kingdom, which also has the world’s largest indoor free-flying aviary. One of the most readily identified creatures in all the world, the giraffe is an African animal well-known for its remarkable height that comes primarily from its unusually long neck and long legs. 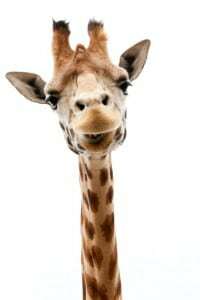 Vegetarians, giraffes have to be on constant alert against predators like lions, leopards, and wild dogs. Fully mature giraffes can stand as high as 20 feet and weigh more than 4,200 pounds. They can run as fast as 37 miles per hour, and when they’re being chased, they can sustain a pace of over 30 miles per hour for a few miles. One of the oddest looking creatures on the planet, when you come to Niagara Falls you can see giraffes at Safari Niagara, a nature park and conservation area that boasts an impressive collection of exotic animals. Come to Niagara Falls and see creatures from thousands of miles away. Hundreds of species of birds, reptiles, and mammals can be marveled over at Safari Niagara and Bird Kingdom.